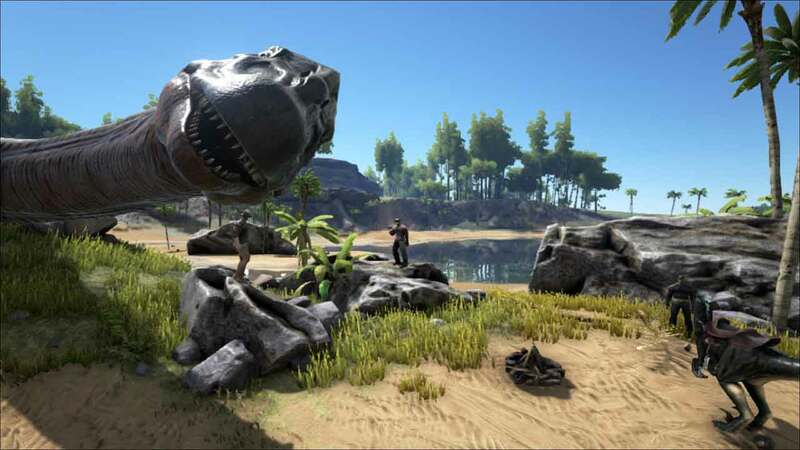 Jess Rapczak, Co-Founder of Studio Wildcard, today took to the official Xbox website to deliver some exciting news for fans of ARK: Survival Evolved as the Xbox One launch has been met with a hugely positive response to the tone of 1 million downloads in the first week. Jess also thanked Microsoft, Xbox and the team at ID@Xbox for their unparalleled support with the release on Xbox One. [quote cite=”Jess Rapczak, Co-Founder & Co-Creative Director at Studio Wildcard”]ARK: Survival Evolved launched worldwide into all regions of the Xbox Game Preview Program on Dec 16, and by the end of the first week we were blown away by the Jurassic number of new players experiencing the ARK universe (and we were scrambling to put up more servers)! In under a week ARK was downloaded over 1,000,000 times and Survivors had lasted a combined 200,000 real-life days against the dinosaurs and perils of the island, including other players! There’s no question that survival games have taken the PC world by storm lately, and as the only true large-scale multiplayer survival game available on console, perhaps it comes as no surprise that ARK’s daily Xbox One player count is already bigger than on PC. Jess also revealed some of the features currently in the works at Studio Wildcard. The community can expect new features, additional options with control pad customization feature, improvements to the user interface, tweaks to current game modes and more.